WAHL Chrome Pro Home Haircutting Kit Only $19 + FREE Store Pick Up (Reg. $27)! 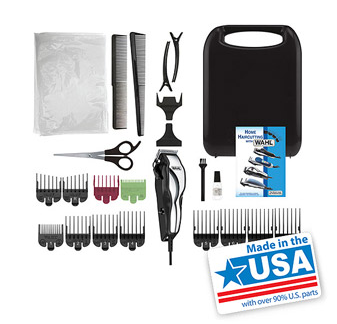 You are here: Home / Great Deals / WAHL Chrome Pro Home Haircutting Kit Only $19 + FREE Store Pick Up (Reg. $27)! Save money by trimming your boys (or hubby’s!) hair with this HOT deal! You can currently snag this WAHL Chrome Pro Home Haircutting Kit for only $19 + FREE Store Pick Up (Reg. $27)!